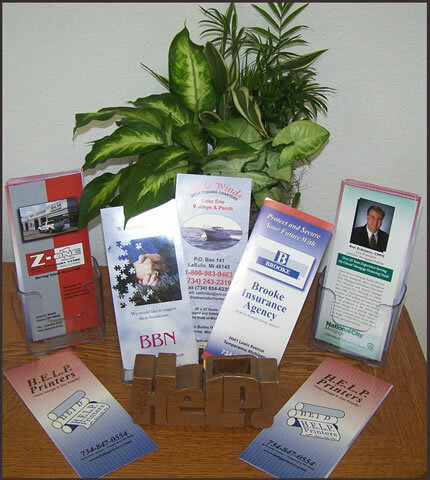 Whether you are in the market for business cards, brochures, multi-part invoices or proposals, H.E.L.P. Printers is the company to contact. Since 1980 H.E.L.P. 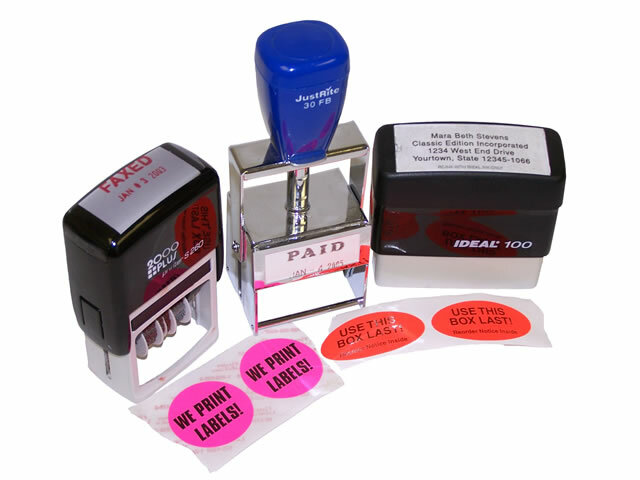 Printers has been supplying clients with these and a variety of other printing and promotional items. Make a positive impact and get your message across to your clients. Meet with our Graphic Designer to discuss your idea or concept, build it into a business card or brochure that represents your company’s products or services in a unique way that will make an awesome impression. Do you need a customized proposal form or invoice for your computer software? We can handle all your projects -- large or small. Let us H.E.L.P. 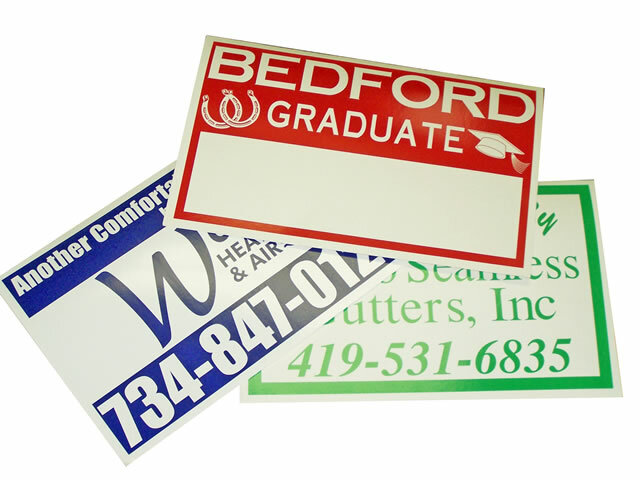 you promote your company or organization with banners, or yard signs that announce your latest project. 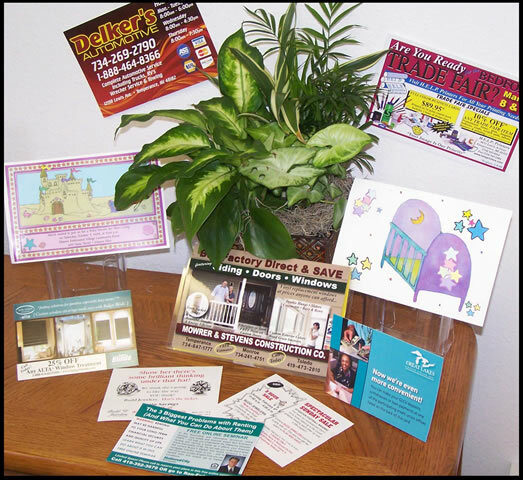 In addition, we also design and print menus, booklets, scratch pads, letterhead, envelopes, laser checks, deposit books, raffle tickets, posters, business card magnets, labels, rubber stamps, note cards and post cards. . .
WE DO COLOR COPIES! Did you know that H.E.L.P. Printers every day low price on color copies beats the competition's sale price?